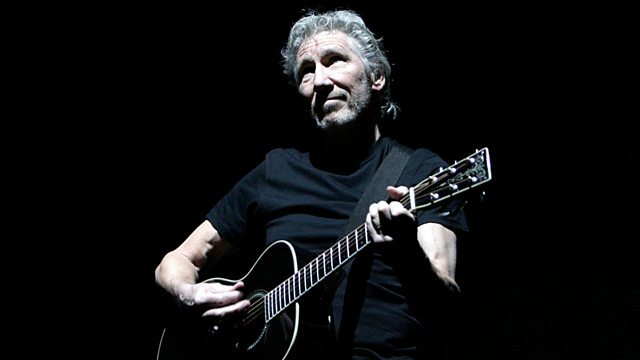 Musician and composer Roger Waters, who co-founded Pink Floyd, joins Kirsty Young to choose his Desert Island Discs. Kirsty Young's castaway is the musician Roger Waters. As one of the founding members of the band Pink Floyd, he has seen huge critical and commercial success. But in 1985 he walked away from the group and years of acrimony followed. They were reunited for one final performance, twenty years later, for Live 8. It was a moment many of their fans thought they would not live to see and it was, he says, highly emotional. "We did a run through on the Friday night and it was remarkable, there were about fifty or sixty people working on the site, putting out rubbish bins or whatever it was they were doing and they all stopped and at the end they all applauded - that was a very moving moment." Crosby, Stills Nash and Young: So Far. Franco Corelli : Arias by Giordano, Puccini. Lady Sings the Blues Vol. 4. Mahler: Symphony No. 5 - Rattle.